In addition to the leaves on the trees, there’s a whole lotta Beatle-riffic cool going on tonight, February 21, at 9 pm ET. Yes, it’s the latest edition of Ken Michaels’ hour-long celebration of all things John, Paul, George and Ringo: Every Little Thing. 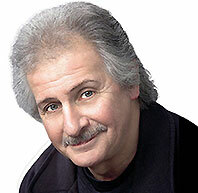 On tonight’s show, Ken offers up an interview with Pete Best, who talks about the Beatles’ first recording at EMI studios; a “Ringo and Peter Frampton Two-Fer”; and, during the always-fab third segment, a fun collection of songs and an interview with none other than Paul McCartney. It’s a little thing Ken calls Beatles Anatomy 101. Sounds like another great show. You oughta be there, and you can. Set your Merseyside alarm clocks for 9 pm ET tonight and have your Internet listening device tuned to Pure Pop Radio. This entry was posted in Ken Michaels' Every Little Thing: It's a Beatles Extravaganza! and tagged alan haber, beatles, every little thing, fab, george harrison, john lennon, ken michaels, paul mccartney, pure pop radio, ringo starr, streamlicensing. Bookmark the permalink.